With the emergence of social media, emails are definitely not a thing of the past. 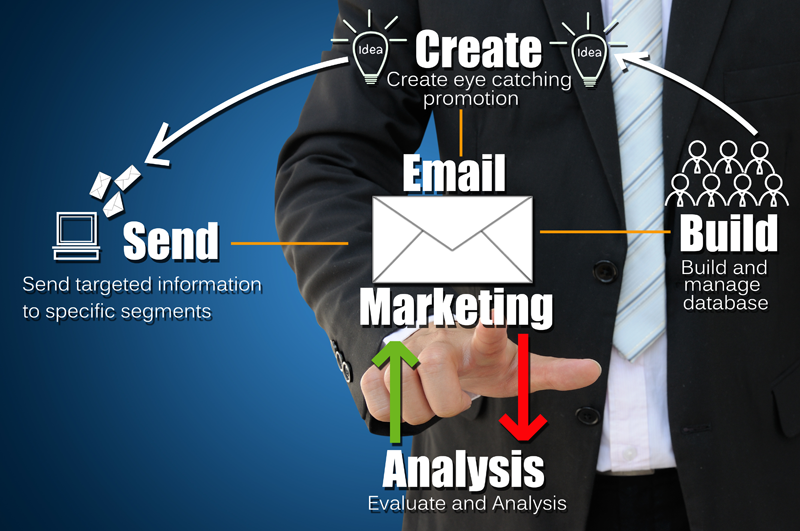 Email marketing still plays a huge role in the world of digital marketing – if it is properly utilized. Hence when the use of email segmentation comes in. Email Segmentation is simply the splitting of an email database into various segments based on interests, age group, sales cycle, or any other category relevant to the brand and their target audience. This is done in order to create tailored content that would elicit a positive response as it is targeted to customer’s immediate needs or wants. Most emails sent out today are automated and it has become very important to segment emails so that brands accurately send out emails relevant to customers in order to get more accurate results. This is a key reason why email segmentation is a top priority for brands that seek to continue using email marketing strategies. It truly is an effective online communication tool for this era. It would be wise to seek the assistance of an email marketing agency to help streamline and coordinate your email marketing campaigns. The benefits of segmenting your email database are numerous, but here we are just going to highlight six key reasons. It is virtually impossible for everyone to be impressed with one message and one type of content. That is why diversity makes a big difference in the world and this should be a major consideration in everything we do. One key reason why most email campaigns are unsuccessful and unmeasurable is that email subscribers are not treated as different individuals – rather they are treated as one generic group. Even if you are sending emails to a group of people, the emails and the group should hold at least one unique interest. Our interest is what determines the kind of things we gravitate towards, and these interests are not fixed. They are influenced by a lot of factors. Segmenting emails allows you to know who you are writing to, what their interests are, and with this, you can create content that is relevant to them. The more appealing an email content is the more chances of it getting reasonable engagements. Open rate and click-through rates are the two email metrics that brands can track to know how engaging are their email campaigns. Segmenting emails makes it easier to differentiate subscribers who receive emails but don’t engage with it. Once these set of subscribers have been identified, brands can look into possible reasons why they are not engaging with the content by improving the kind of content they send to them. This can be done by putting more effort into getting the email subject line right or requesting feedback on the kind of contents the subscriber would like to receive. It is also possible to use a simple survey to request that they update the kind of things that interest them. Email segmentation can greatly reduce the rate of email unsubscriptions that brands may be experiencing. Professional brands – that put themselves in the shoes of their subscribers – will be sensitive enough to understand that once a non-responsive subscriber has lost interest they will eventually unsubscribe. No-one wants a cluttered inbox full of unread emails). Therefore it is critical for brands to understand the current interests of their email subscribers and understand where they are in the sales cycle. This will enable the brand to create content specific to the needs of the subscriber which would trigger a response to the call-to-action in the email rather than searching for a way to unsubscribe. Email segmentation can also be further done based on the sales cycle of each subscriber. This is a very popular email segmentation method that most e-commerce websites use, where subscribers are segmented based on where they are in a sale cycle. Some subscribers are fully aware of the brand and they have shown interest by subscribing to get emails but they are yet to make any purchase. The email campaigns for these group would be different from those who are fully aware of the brand and have gone ahead to make a purchase. There are also email subscribers who are frequent buyers – the email campaigns for these group would be different from those who only made a one time purchase. Understanding the sales cycle of each subscriber would improve their responses to emails sent to them. Brands work very hard to build their reputation online and offline. It could be disappointing to keep getting reports that a higher percentage of emails sent to your legitimate email subscribers list (not the bought ones) are being marked as spam. The implication of this is that brands will keep wasting money on email campaigns that are delivered to the spam box and are never read. Aside from that, email service providers like Gmail, Yahoo and co are extremely sensitive to spammy emails or emails marked as spam by their users. And most unsegmented emails tend to contain elements found in spammy emails. Also, these email service providers carefully observe how subscribers interact with emails. If they engage well with emails of a sender more often than senders, the least engaged emails are often moved to spam because they feel it is less important to the receiver. This would affect the reputation of the sender with such email service providers. This also emphasizes the need for email campaigns sent out to be engaging enough to elicit a response by opening it at least. Understanding the sales cycle and the interests of your email subscribers would greatly improve the kind of content you send to them as well as the kind of engagement level or response that you get from them. A combination of these can help brands retain more customers and increase the number of buying customers which also increases the revenue that the brand generates. It can also be a good tool for acquiring new buying customers, as those who are impressed with the quality of content sent to them (or customer service) can also share emails with their friends who might find such contents useful too.